Blazin Glory (Speedos Almighty and Little Gussy)! Sign up for Broadjam today to follow Blazin Glory (Speedos Almighty and Little Gussy)!, and be notified when they upload new stuff or update their news! Blazin Glory consists of Speedos Almighty and Little Gussy. 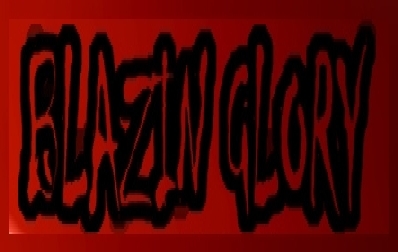 www.blazinglory.tk for our main page and more info on Blazin Glory. It is recomended that tunes are listened to in Hi-Fi MP3 or Real Audio for better quality and to enjoy the tracks to the fullest. Both these tunes are produced and performed by Speedos Almighty. Tunes by Little Gussy are coming soon. Tunes on this page are a small show case of what Blazin Glory can do. Both tunes have the same vocals with different beats to show production. Due to the vocals on 'Show Case version 2' being copied and pasted from 'Show Case version 1', it is a bit out of time. The tunes are not to be released as tunes we're going to release have a continuios subject and are perfected more. It would be appricated if you would tell people about this page and spread the Blazin Glory/Speedos Almighty/Little Gussy name.